I knew I wanted to work with computers from as early as Senior 2, and I wasn’t contented with pioneering the computer club at my high school. Out of University my first job was far from computers, it was with children, orphaned children. They were singing their way to donations, inspiring people from other continents to provide for their needs. Those were the first seeds sowed against social injustice. I was raised as a middle child, indeed my mother confessed to remembering me long when my diaper was leaking. Single mother, a house wife, I grew up in 7 suburbs in this city, and never in our own home. Those were the second seeds of consciousness to social injustice. When I stopped looking after children, I was opened up to the world of health information systems – there I saw numbers. 327 HIV positive mothers; 45 malaria cases; any number you can name, we probably have a health statistic for it. On a computer screen, they are numbers, but in the field, they are people. Children, Mothers, Fathers – wasting away because there are no drugs; alas, there are no medical professionals to attend to them. Now I couldn’t go back – it was not just a 3rd seed sown, it was time to be part of the solution. We know that for people like me, ICT professionals, opportunities for us are scarce because our backgrounds are outside of healthcare. How do I use my unique skills in global health? At the same time, for those who work in traditional health fields, a lack of community with people (and professions) like mine limits collaboration, knowledge sharing and support. In 2011, Uganda had a maternal mortality ratio of 438 maternal deaths per 100,000 live births—well above the average of 240 per 100,000 among all developing countries. Many of these were unsafe abortions. According to a survey of 1,338 women who received post-abortion care at 27 health facilities, on average, Ugandan women paid 59,600 shillings (US$23) for their abortion procedure and any treatment received prior to arriving at a health facility. If you have lived in this city most recently, you may be familiar with civil servants who “erroneously” earn 96 million shillings a month (that’s about: $35500/mo; $222/hr), and you may have heard that our development partners are redirecting aid, and in some cases it will make the difference between a pregnant mother being tested for HIV and placed on option B+ or not… literary affecting our national dream for an HIV free generation. In 2012, an estimated 168,000 women in Sub-Saharan Africa died from pregnancy and birth-related causes; 62,000 of these women did not want to become pregnant in the first place. Fully meeting all need for modern contraceptive methods would have prevented 48,000 of these deaths—a 29% decline in maternal mortality. Every shilling spent on family planning/Contraception will save more than 6 shillings in post-abortion care services averted. The cost of providing contraception in Uganda for one year has been estimated at around UGX 57200/= per user, while the overall cost per case for treating post-abortion complications is UGX 340,600/=. 96 million shillings would provide 1678 Ugandan women a year’s needs for contraception. What else can it do now? In this room, there are young professionals from all walks of life. You are here because you decided to be available for the Global health Movement. Something tagged at your heart and you answered the call. I challenge you, stay at your post. Remain present, remain engaged, and remain plugged. It is young people like you who are going to make a difference in the way we think about the future of this continent. There are also partners, and the organizations where new fellows are going to be placed – you have made available room and board, time and space to tap into the passion in this room. I urge you, open up more doors; there are a lot of young unemployed (and indeed unchallenged) graduates who are willing to get their hands dirty. GHC has proved it, because the growth remains visible, next year, there will be more than 150 fellows! Where do we go from here? This is Step #6 in how GHC Works: Fellows collaborate, Grow as leaders, Deepen Impact BEYOND the fellowship year. Let’s see, my good friend Edward heads to Mbale to serve local communities with microfinance, as the country director for Spark MicroGrants; Cassandra has left Kyangwali Refugee community for medical school in the US – she’ll become a doctor soon enough. Brian? I will lead a team of ICT professionals – you can guess how they will turn out in a year – Global Health advocates! Many of us are going to do different things. But oh how we are changed. How the fellowship has given us new eyes, I will never look at a health stat and not imagine the people represented; I will never lose consciousness of the health challenges of my community. I have not just grown professionally – learning what PMTCT is and the technical language around HIV and AIDS, I have also been intellectually stretched, when debating interventions for young people, and debating with my class about aid cuts and their impact on health. These discussions have made me grow, but perhaps more profoundly, I now question my own values, ethics, and motivations for engaging in this movement. Joan, go and be a star! Brian, one year from now, you will be more than just a world changer. Sam, there is room for ICT professionals like you and me in the movement for Global Health Equity! You and I, all of us have got to remember, we are part of a global community of emerging leaders to build the movement for health equity. We are building a community of change-makers who share a common belief: Health is a human right. Adding It Up: Costs and Benefits of Contraceptive Services—Estimates for 2012, New York: Guttmacher Institute and United Nations Population Fund, 2012. This entry was posted in GHC, Global Health, ICT, MeThinking and tagged 2014, GHC, Global Health Corps, health, HIV, Uganda, Young People. I Do. In school, my teacher used to call it Present, Simple, Tense. It has got to be shorter than the famed scripture “Jesus wept.” Unlike the events recorded in the bible, when we say I do, generally our results don’t walk out of a grave wrapped in clothes, ours, mortal men, take a life time. When I first said I do, nearly 6 years ago, I had no idea what I was getting into. Bliss? Hell? Thankfully for me, I have enjoyed every minute of it, I would do it all over again. But not so many people say I do and live to enjoy it. You see present tense means its right here, right now. You are alive in the moment and you do. But this short sentence also has no time frame, so I wonder, would my English language teacher call it Present continuous tense? 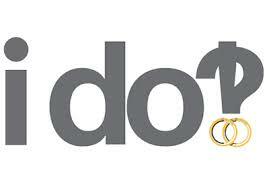 When you say I do, you literary remove every notion of time – you do, and for as long as you live, you continue to do. That’s what I do means. No wonder, its aptly followed by – you guessed it – till death DO us part! That’s why death is with us, now and forever. This entry was posted in Global Health, HIV, Human Rights, MeThinking, Uganda and tagged 2014, Brian Ssennoga, Change, Equity, health, I Do., Social Justice, Uganda. Intellectual Property is an evolving subject, locally and internationally. 2013 has seen some interesting Moses Mulumba the Director of CEHURD, (website) passionately introduces various aspects of Intellectual Property in Uganda, and the path that this has taken since the first Media Training Fellowsip in 2012. CEHURD aims to mentor and support jounalists, from main stream media as well as online reporters (and bloggers), in how they can report on links between social welfare aspects and Intellectual Property. Over 2 days, 15 Ugandan jounalists will be holed up at the shores of Lake Victoria in a packed 2 day training. Richard Hasunira, a local communications consultant started the day off with some ideas on the role of Media in reporting Intellectual Property. Richard stresses how Intellectual Property Rights should not stifle in any way, all Human Rights, and specifically, access to Medicines, Access to Educational Materials as well as Access to farming developments that enhance food security. Richard challenged the participants on their cardinal functions – to inform, to educate, and to entertain – to grow these into the moral obligation to promote Human Rights. And to make sure they report on restrictions that block access to new knowledge, or new innovations. This entry was posted in Human Rights, Intellectual Property Rights and tagged CEHURD, Development, health, Human Rights, Intellectual Property. Why bring Ebola to Kampala? I know it was done in good faith. And i know it was to try to save “one of us”, but I am very disturbed by the decision to bring an Ebola Patient to the National Referral Hospital. First of all, Ebola is striking Uganda for the 4th time – Gulu, 2000; Bundibugyo 7 years later, Luweero only last year and now Kibaale! Surely its disturbing that the 4th time, we have not picked lessons from across the country and shared them across the healthcare systems and channels. The President said, ” About three weeks ago in the village of Nyanswiga in Kibaale district, some people become very sick. Initially the health workers did not realize what it was. This was apparently because the people who were sick had many other problems….malaria etc. And apparently the bleeding which normally accompanies Ebola did not take place initially among these patients. That is why Ebola is part of what they call hemorrhagic fevers – this is because of the bleeding which takes place.” See Full Statement Here. Secondly, There were many other cases being treated at Kagadi Hospital, of regular people. How is it that a “well-trained” and “well-equipped” health worker did not have the mind to perform her duties with protective gear? Sadly, the driver who might have been tasked to deliver her to Mulago did. Why then was that “vote of no confidence” cast on staff and services at Kagadi Hospital? Or, i dare say, was it a case of “one of us” has to go to a better facility? Some of the people who stayed at Kagadi are now recovering, which means there is ample treatment and every reason to stay put. Why did someone bring Ebola to Kampala? Thirdly, since Ebola had been confirmed, i wonder, do all hospitals have some kind of routine? Say like immediately setting up isolation facilities and quarantine zones? Identifying personnel to man these? Prepare and avail safety kits for these personnel… When they brought the patient to Mulago, what this kind of routine stuff done already? If so, why the stampede that is requiring 7 doctors among other people to go on quarantine – for “coming into contact with the patient”? What about the families of these 7 doctors, or any other patients they might have seen that day, and their families too… Did someone not do their job? Who might this be? Kampala has the complexities of density – and for a disease that thrives on contact, this is the ideal breeding ground! Money Exchange, Fake Spontaneous hugs, Boda Bodas, Pioneer Buses, lazy walkers on the street, the 2 old taxi parks, Kimombasa in Kawempe, Chicken in Wandegeya – migration style Walk-To-Work and Walk-From-Work. Who really drives a patient into this madness….? And why? This entry was posted in MeThinking and tagged 2012, Ebola, health, Kagadi Hospital, Kampala, Kibaale, Medicine, MOH, Mulago Hospital, Uganda. This reading is very interesting for me, because my University has asked me to consider writing a course for Health and Technology. Something that our students can leave with, in regard to incorporating the latest technology trends, devices and applications, into the eeffective day-to-day work of Nurses, Doctors and other Public Health Professionals. Its quite an exciting topic and am excited to be working with Eunice Namirembe, and Olivia Nanteza. Together, we hope to draft and deliver a course that will train the 21st century health practitioner to apply and incorporate technology in their work. This entry was posted in ICT, MeThinking, Work and tagged Apps, Computers, Doctors, eHealth, health, ICT, IHSU, mHealth, mobile, Nurses, Public Health, Techonolofy, Training. Is your Medical Insurance a Benefit? Following a few changes within the structure and administration of my current Health Insurance Provider, i have had to ponder over the issue of medical benefits that companies afford to employees. The golden question remains – Is your medical insurance a benefit? Is it? Really? Which is important, that the medical cover is for 3 vitally important people of my family or 4 Biological children – half of them usually presumed? Even when i get them, all 4 of them, it will take me, atleast 8 years, if i follow the advise pinned all-over the hospital walls. In 6 or 4 of those 8 years, shouldn’t my medical benefits go to my ailing mother, or my bed-ridden brother? Which is it that you are really giving – or that of which I am really a beneficiary? If its medical cover, for me and my immediate family, since when did you want to count my immediate family – in a country where the average mother gives birth to 7, 4 is not a bad count. But now you go ahead and want to list them? Seriously? Isnt the numbers restriction enough for you to have control on who benefits from this benovelent gift of yours? Do you really have to specify who? So I am married, with 2 children, and i will adopt 2 more when the time comes. From a numbers perspective, every such employee who has a footprint of 5 extra persons, i believe is a large strain on the resources of any medical insurance. Certainly Joe who is single and desperately suicidal only accesses the medical insurance fund once in a forlon blue moon. Such a Joe is a better employee in the numbers game. Infact, assuming Joe got married and had one child, if we would really like to save money – we might encourage Joe to consider a Vasectomy. Bang. Sealed. No further “costs” for Joe and family. And Jane? Well lets just keep her till she gets married, but until then, she leaves a more palatable footprint. If you really want to cut on costs, then reduce the foot print. Pure and Simple. But if you really want to give a benefit, then tis enough to say how many you are willing to sponsor, and that’s all that really matters!!! Now that’s a benefit. Wait, would you like me to contribute to such a benefit? Certainly, one good turn deserves another! As much as it would be great if you gave wholly, I can understand, and even accomodate it that you need me to contribute. So i will make a contribution, a whole hearted one. I will support you, as you support many of us. Afterall, this is a benefit, and God blesses us, so that we can be a blessing to other people. So is it ok, for me to know the monetary value of my medical benefits? This is an ethically grey area. If you dont want me to know, its perhaps because you are giving the benefit – in kind – but if you are indeed dishing out cash on a monthly basis, it would be great for you to share this. Perhaps the medical bill generated by employee x this month is a result of a problem that we can help with back at home – food and substance contamination. I know, it seems intrusive to suggest that your boss might send the janitor over to help you clean up, but here’s what i’d say – where is the “charity begins at home” in “corporate social responsibility”? Does it make sense for you to continue to pay an abnormally high bill for the same employee and yet he sits perched, and somehow considers it none of our business why tis always his kids and family with malaria? What if all you need is some Doom and Mosquito nets? Or perhaps, a work-mate knows about a free house that’s not in that mosquito infested swamp you call a neighbourhood? …yes, it makes for more responsible usage, as well as more accountable employers/managers. Unless your benefit is managed by a health provider, who offers it at pre-paid non-refundable T&Cs, then surely, you should be able to walk up to accounts to get a report on your medicals for the quarter, half year. And naturally, you have to have a policy on unused medical. Ofcourse, am assuming that since its a benefit (loosely = a gift) that you have no plans to retain it. Unless ofcourse you are… (incase my boss reads this, i have to leave that hanging). Why would you want to retain it? You budgeted it, and therefore, unless you can justify significant unbudgeted expenditures for which unused cash can help out with, there is no sound reason to retain it. Maybe there is… Lets see, cash for a company is good – can cover emergencies and currency fluctuations. Also, it can be used to boost budgets for the next financial period. It can be used as a top up for the same employee’s benefit, so next year they would access even better services. Can be used as a contribution to staff gratuity – without the company having to set aside another budget line. What else could we use that money for? Bonus!!! End of Year bonuses. Now thats not a bad one. An educated guess, is most people would choose to get their un-used medical benefits as some kind of cash bonus at the end of the year. Because, cash is also good for the hard worker. Afterall, i wouldn’t be anywhere near this benefit if i wasnt working hard enough. Personally, the most important thing is life. And as an employee, i am equally as disturbed and affected if the life threatened is one of my wife, my mother, my brother, or my house-help, afterall, she looks after the daughters my benefit is trying to cover. If my children’s nanny can’t access medical cover for fungus, my children are certainly going to be in hospital for something fungal. Prevention used to be better than cure, so until those “4 Biological Children” are gotten, the one looking after the 2 is an important part of my immediate family – and i insist. So, its time to ask that question again, Is your Medical Insurance a Benefit? This entry was posted in Family, MeThinking and tagged 2012, Benefits, health, Insurance, Kampala, Medical, Staff, Uganda, Workers.